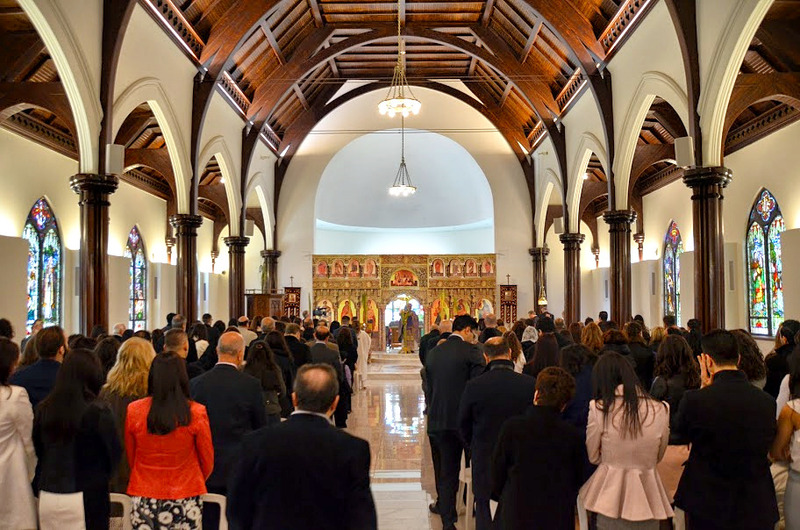 The new Saint Antonios Church was built for the forthcoming generation of young Parishioners. 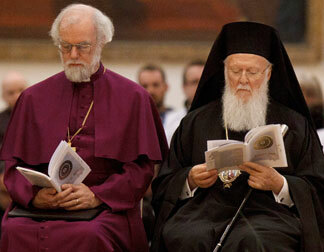 Archbishop of Canterbury (Anglican) & Patriarch Bartholomew I (Orthodox). 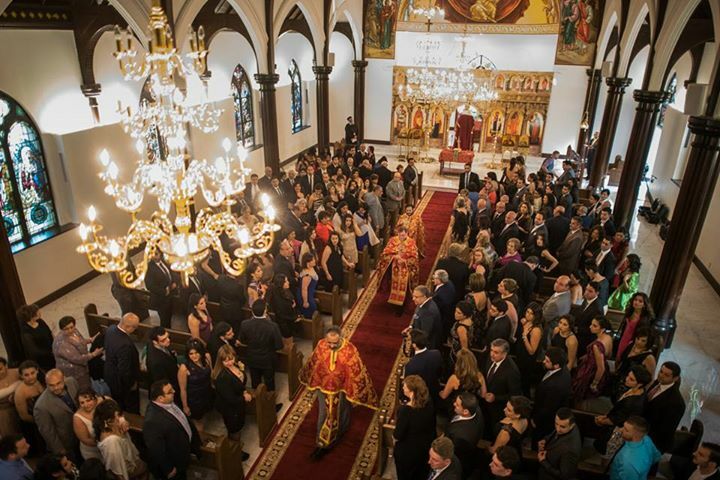 Saint Antonios Orthodox Church was inaugurated in 1980, and began in part with a festive wedding (Linda & Bassam Nahas). The mandate of the organization is to be of spiritual assistance for Nova Scotians, and to help build bonds between Parishioners and strengthen the broader community. The original Church houses 150 Parishioners, whereas 30 years later our community now features some 300+ families. In other words, we have simply outgrown the existing structure. 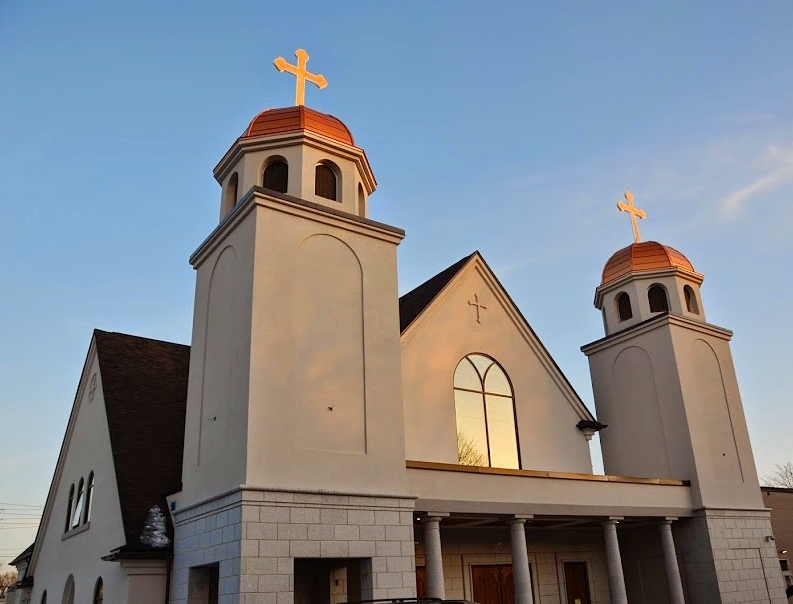 The Parish of Saint Antonios thus decided to move into a new and larger building. 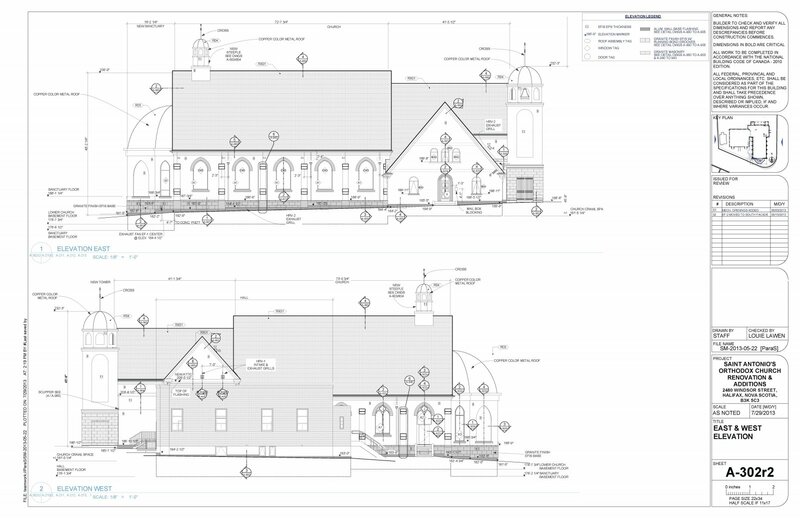 A decision was subsequently taken to renovate the nearby and existing Saint Matthias Anglican Church, which was endanger of demolishment. 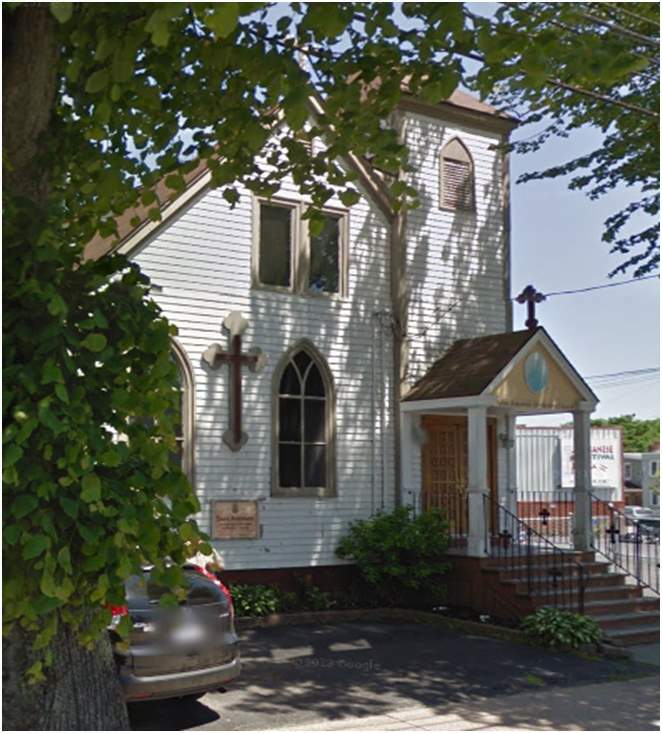 Beyond maintaining the latter as a place of worship (our new Church) and forgoing its demolishment, the decision would preserve 130+ years of local history, and with it the memories and efforts of generations of former Saint Matthias Parishioners. All would be saved from fading into history, such as the fact that the Saint Matthias property encompasses holy land donated by a famous local Anglican Bishop in the late 1800s, and the efforts of Church members who engaged in WWI/II would not be forgotten. 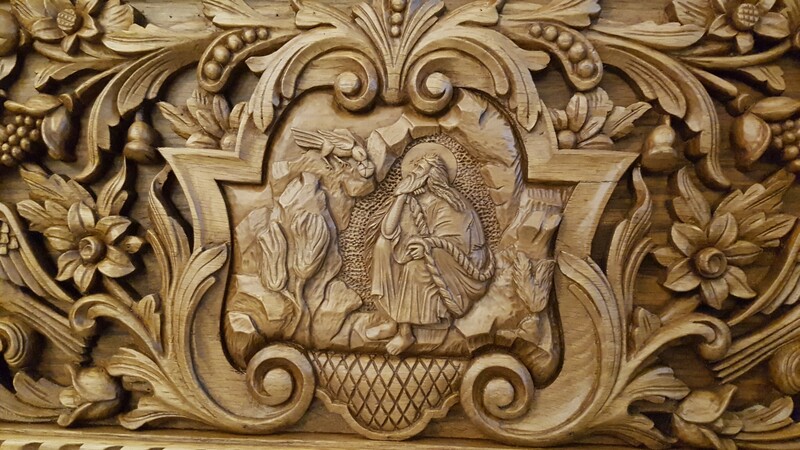 As one can infer from the above image, it can become rather crowded in the original Church. The original Saint Antonios Church seats approximately 150 people, whereas at present our Parish features 300+ families. The new Saint Antonios Church is a unique hybrid exhibiting architecture endemic to both the Orthodox and Anglican denominations, with patron Saints that are heralded by both faiths (Saint Antonios and Saint Matthias). Indeed, the new Church is actually incorporated into what was formerly the 2nd Saint Matthias Anglican Church, the latter being initiated in 1914 and designed by James Harris. As part of the new renovations, the existing building’s original foundation and structure were reinforced, since parts of the building are 100 years old. 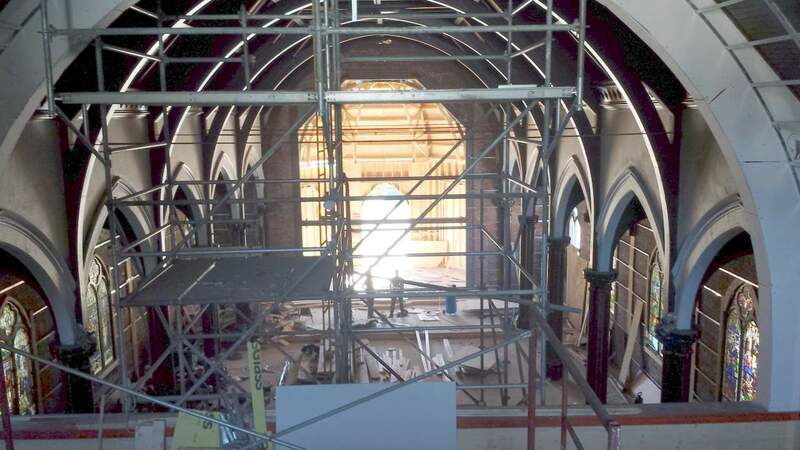 The Community Centre may actually encompass part of the 1st Saint Matthias Church property, which had its opening service 130 years ago in 1882. 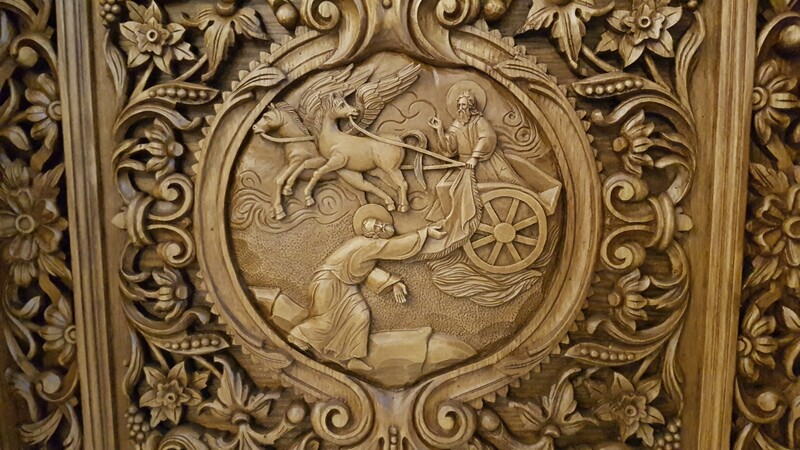 Visitors to the new Church will be awed by the new religious depictions featured on the dome above the altar, and throughout the Church. 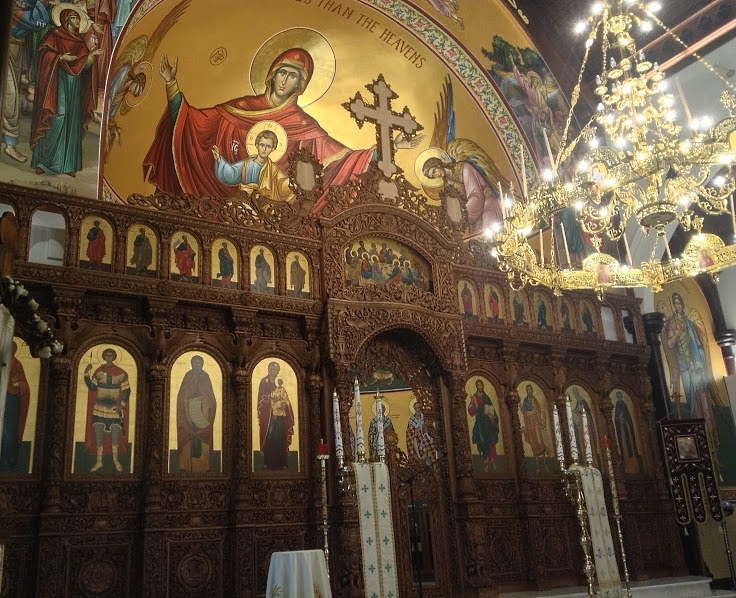 Sisters from the famed 10th century Byzantine Monastery of Panachrantou, which is located on the Greek island of Atros in the Aegean Sea, came to Halifax to help Fr. Saikali assemble a scene conveying the Holy Theotokos (Mary) and a young Jesus, in addition to the Holy Ascension. The latter displays Angels surrounding Jesus’ ascension to Heaven, and his Disciples and the Holy Theotokos are likewise shown witnessing the miracle. 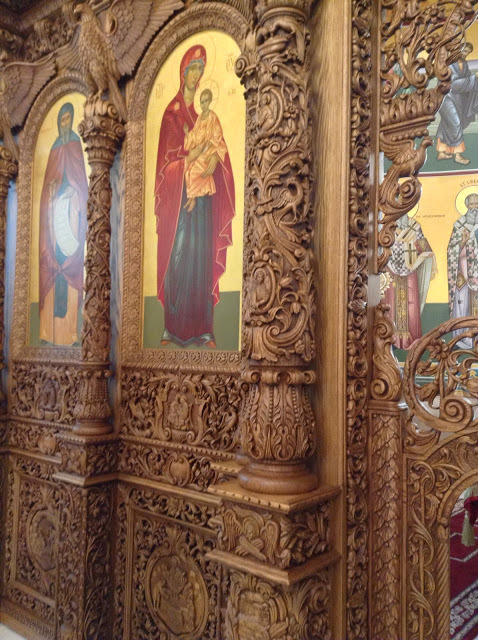 Visitors will likewise be fortunate to view the new Church pews and the Horos, the latter being a unique chandelier featuring portraits of Saints and Apostles. Special thanks to Parishioners Anahid & Sami Armoyan. There are numerous precious panes exhibited throughout the new Church, which were graciously bequeathed to us for safe-keeping by members of Saint Matthias Parish, with the benefactor often highlighted at the base of the glass. Certain panes stem from the famed McCausland’s of Toronto, which is one of the oldest surviving stained-glass studios in the Western Hemisphere. One beautiful stained-glass displayed in the new Church features the apostles Peter and Paul. 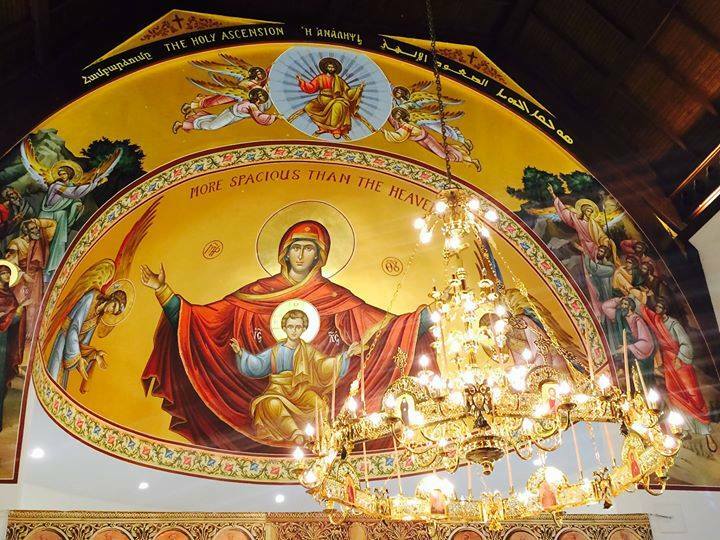 It is rather fitting given they were rather active in the ancient city of Antioch, and Antioch (Saint Antonios Antiochian Orthodox Church) was the birthplace of our Church. 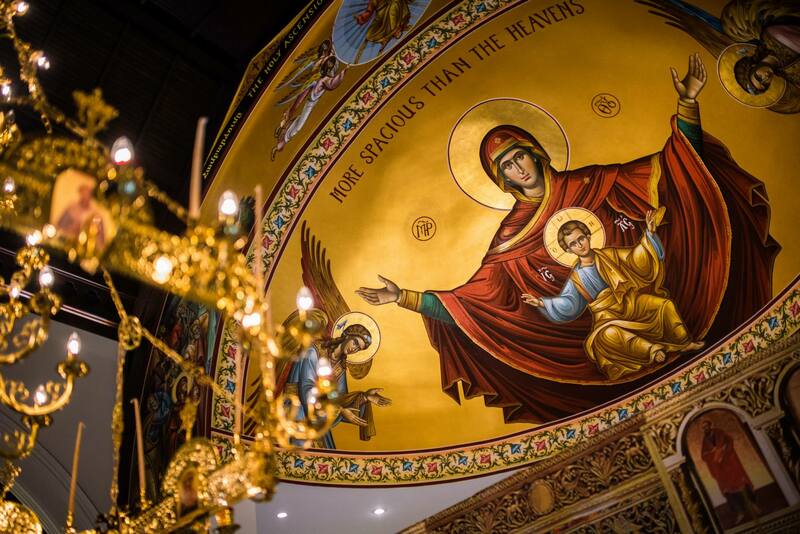 The new iconostasis at Saint Antonios Church was constructed by monks and artists from the famed Hamatoura monastery in Lebanon, with knowledge and inspiration drawn from individuals at Mt. Athos, Ohrid in Macedonia (known as the "Jerusalem of the Balkans" for its many well-preserved Byzantine era Churches), and elsewhere. The wood employed is oak and walnut. 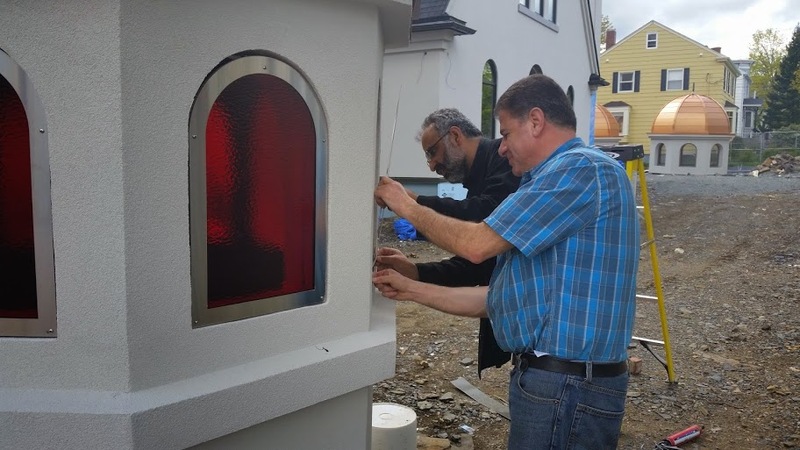 Thanks to all Parishioners at Saint Antonios for supporting the installation of this critical component of the new Orthodox Church, from the countless volunteers to those who utter prayers of positive blessings. This effort has likewise helped foster the Hamatoura monastery, and the ongoing Christian work and charity they undertake. Thanks also to Nadia & Besim Halef. 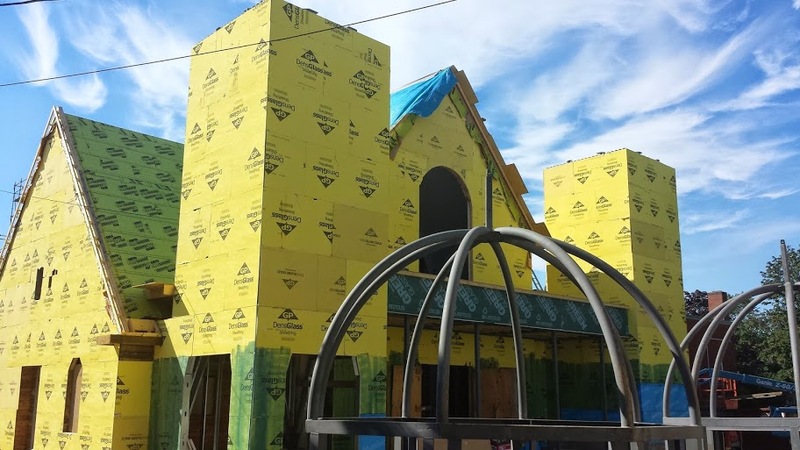 The new Church construction project is certainly a Herculean task. The individuals below are part of the construction committee, and can be contacted if there are any questions or suggestions. 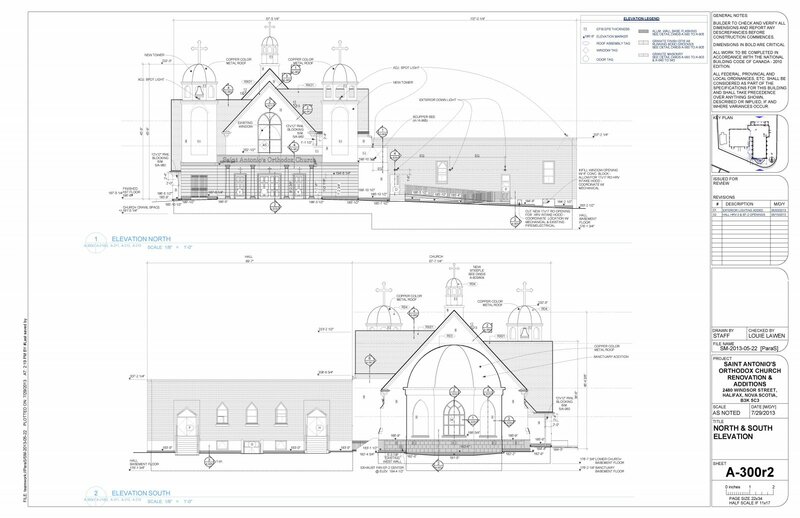 The Capital Campaign aims to secure funds for constructing the new Saint Antonios Church. Donations of all kinds are welcomed, and will invariably help this monumentous effort. Contributions are tax deductible and will be acknowledged with a receipt. Do not hesitate to contact us if you have any questions. 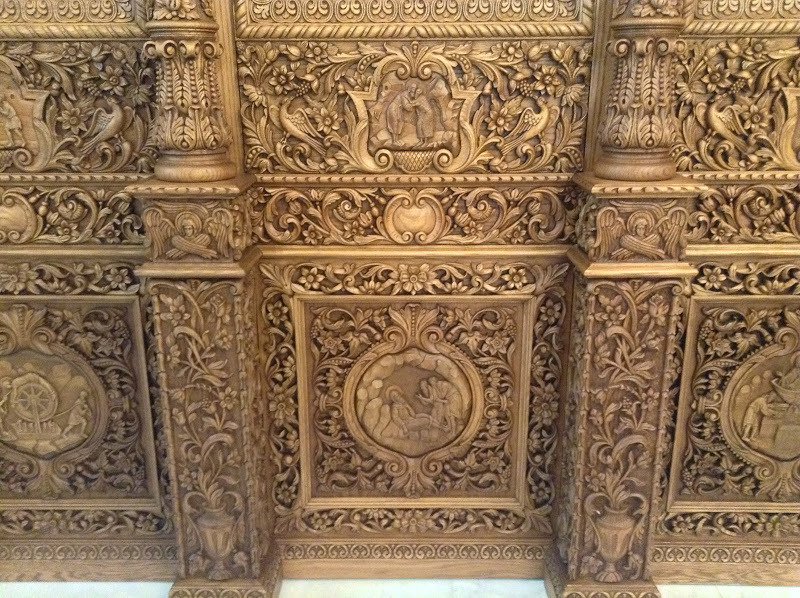 Those desiring to donate to the Church beautification campaign, which pertains primarily to objects interior to the Church (e.g., the iconostasis), can e-mail John Lawen directly. He has kindly agreed to coordinate this effort. Fr. Maximos Saikali & Ramzi Tawil.